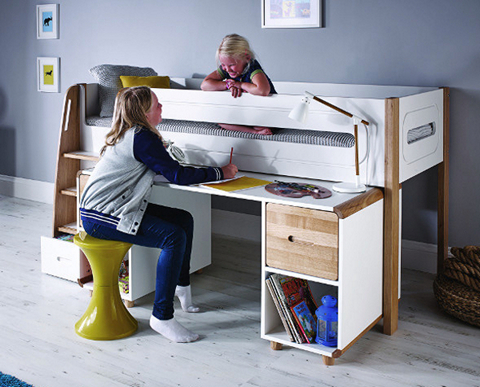 It provides four deep compartments perfect for storing books, toys and craft materials. Featuring two hinged, solid oak doors with inset handles, the other two spaces enable you to quickly stash and hide away clutter. The cube unit delivers even more storage with its four shelves and two handy solid oak hinged doors. 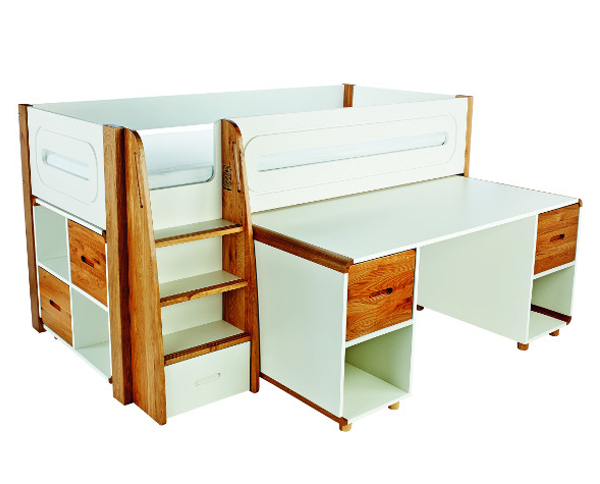 Includes Curve Midsleeper, Large Desk and Cube Unit with two pairs of solid oak doors.